* Mariell's shimmering wholesale Mantilla wedding veil has a sculpted floral appliquÅ½ edge with dazzling crystal Rhinestones, sequins, pearls and bugle beads. * This shimmering one layer Mantilla wedding veil by Mariell features an exquisite sculpted lace border studded with dazzling Crystal Rhinestones, sequins, pearls and bugle beads. 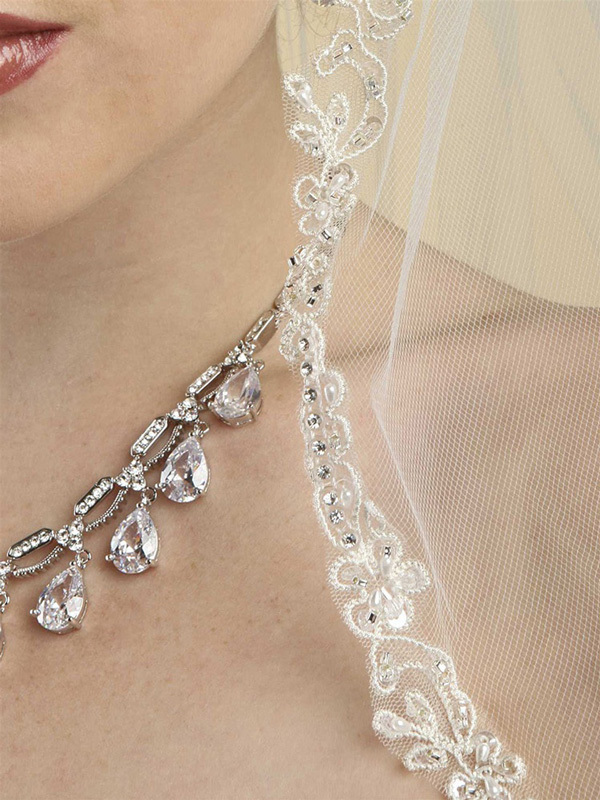 * This embroidered edge bridal veil has sleek styling coupled with European vintage flair. 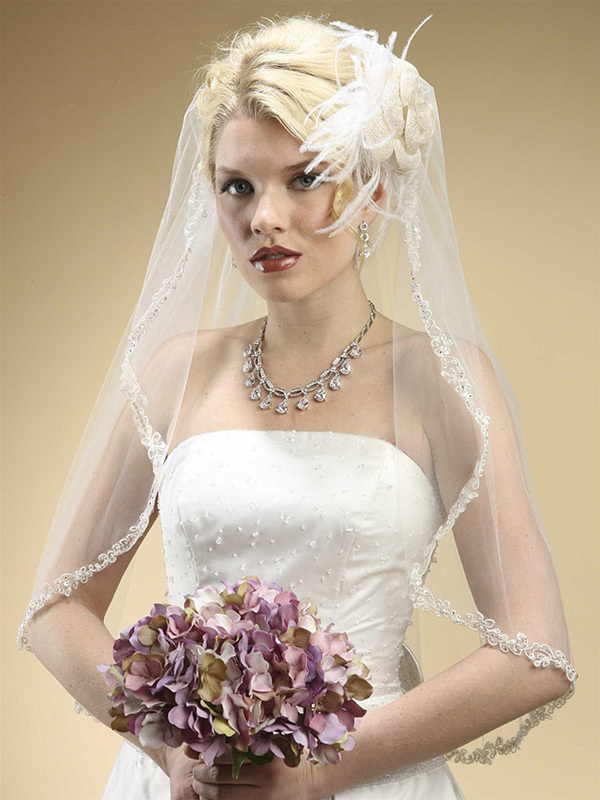 * Our Fingertip (32") length couture veil and includes an attached comb and is offered in your choice of White or Ivory.